Metalucifer is a Japanese heavy metal band, formed by Gezolucifer (of Sabbat) in 1995. Adopting the musical style of early nwobhm and building upon it, they achieved underground celebrity, especially in Scandinavia. 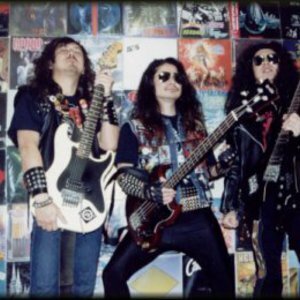 Their pure heavy metal approach, and their unadulterated use of the words "Heavy Metal" in song titles has gained them fame, as their music strives to capture the essence of what they think "heavy metal" should be. The name Metalucifer was taken from the classic Sabbat song "Metalucifer and Evilucifer", meaning, according to the band, "King of the Heavy Metal Hell". The name Metalucifer was taken from the classic Sabbat song "Metalucifer and Evilucifer", meaning, according to the band, "King of the Heavy Metal Hell".